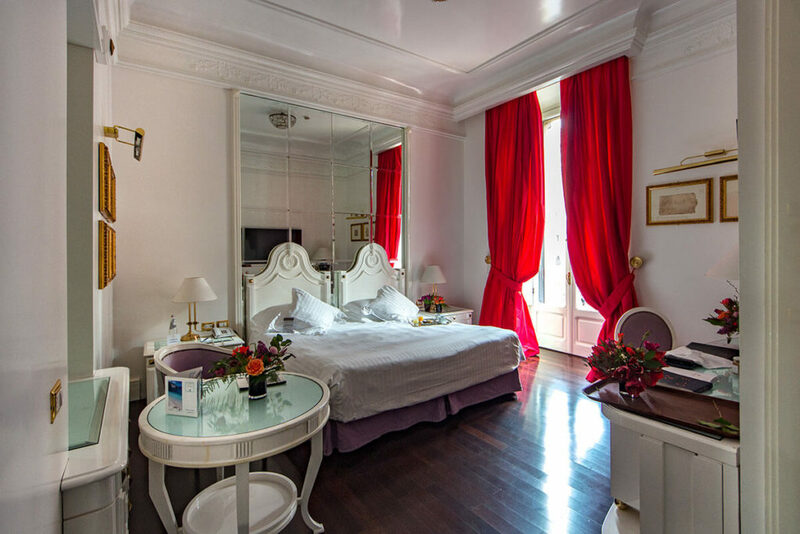 All Superior Rooms are bright and feature either St Isidoro’s Convent garden view or Via Veneto view. 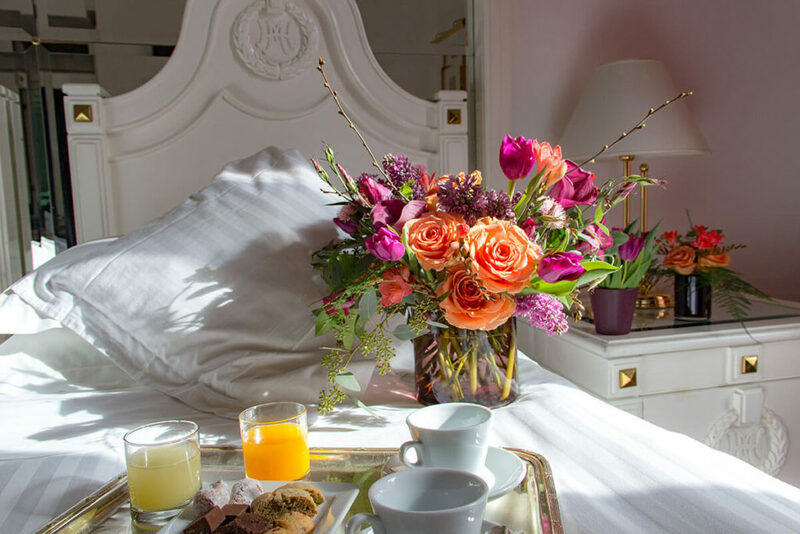 Guestrooms are equipped with queen or twin beds with soft white duvets and cotton bed sheets. The style is combining contemporary elements and pure classical lines. 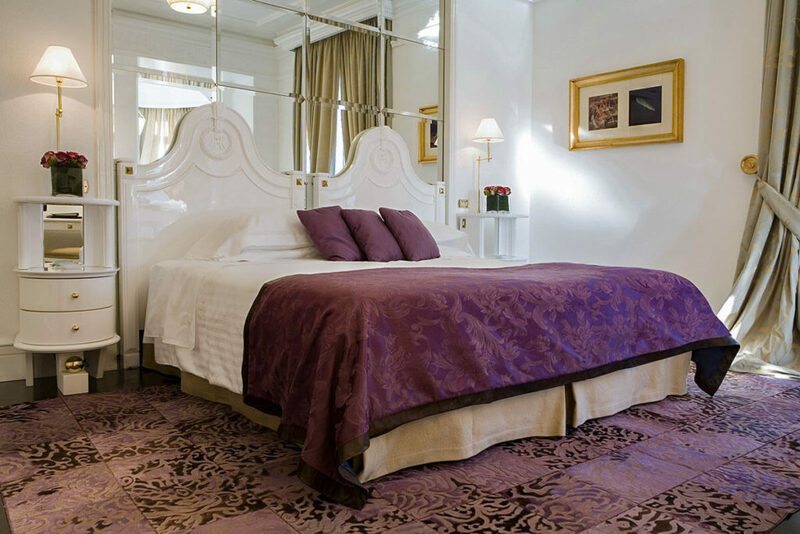 Some guestrooms are featuring white lacquered furniture with Wengé wood floor and beautiful area rugs and others unique designed carpeting and textiles in harmonizing color themes. Bathrooms are decorated with Calacatta Gold marble. How could you make an already pleasant and comfortable experience even better? Surely there are several different ways. 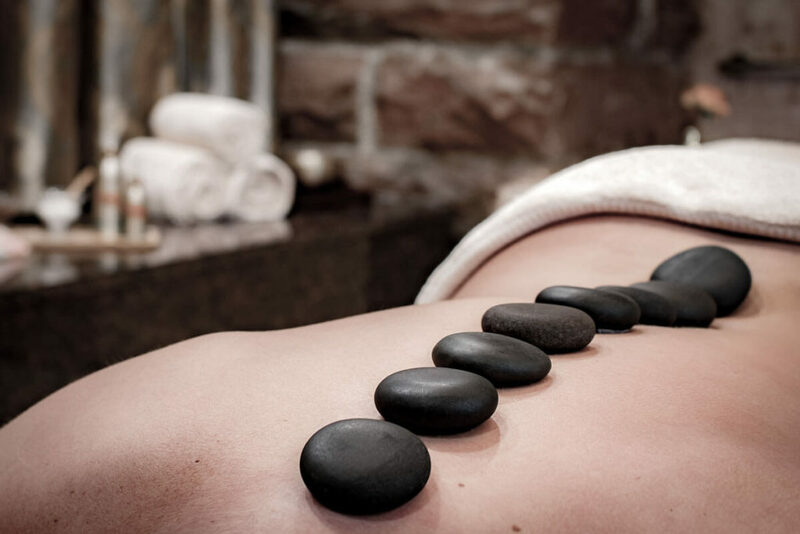 Let us try to suggest one: give yourself a regenerating treatment at our Wellness Center. Or even better, in your room. 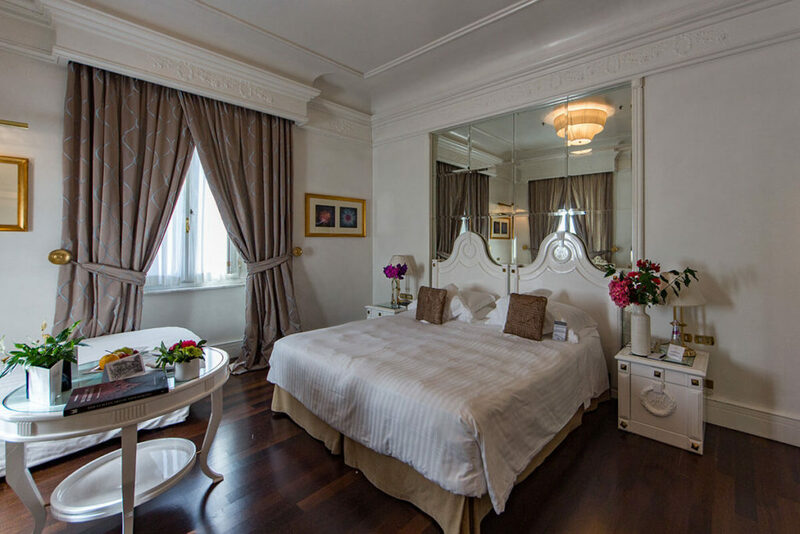 The Triple Deluxe rooms are bright and spacious and feature either St. Isidoro Convent garden views or Via Veneto views. 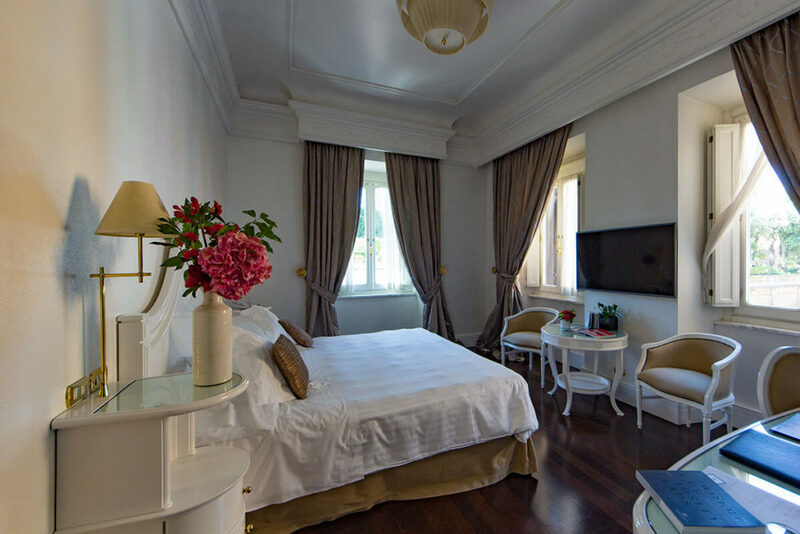 Guestrooms are equipped with queen size bed or twin beds with soft white duvets and cotton bed sheets. 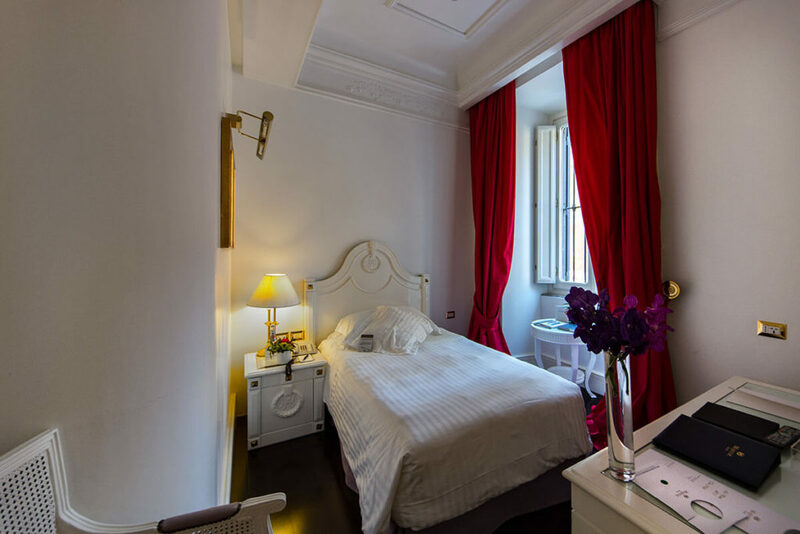 Besides the standard fittings and furnishings, the Deluxe rooms offer spacious comfort with a seating area and lovely views of St. Isidoro Convent garden or Via Veneto. 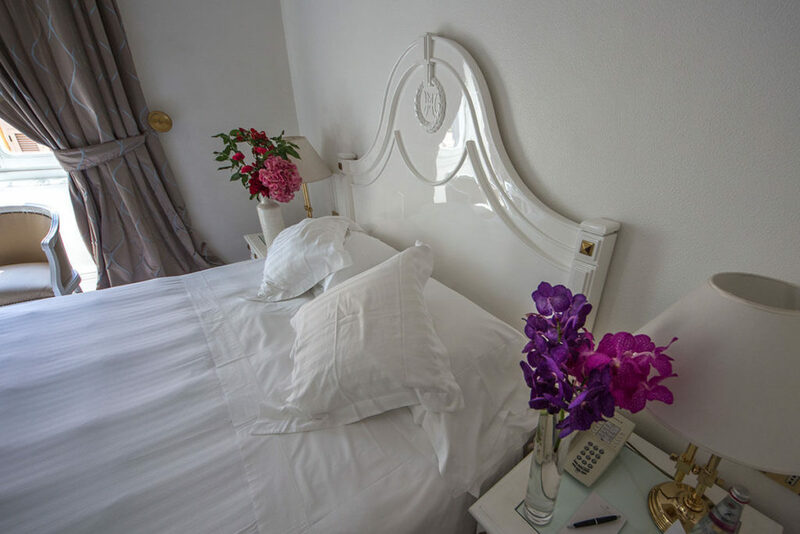 Single Rooms are nice & cozy and are equipped with Queen beds with soft white duvets and cotton bed sheets. Bathrooms are decorated with Calacatta marble. 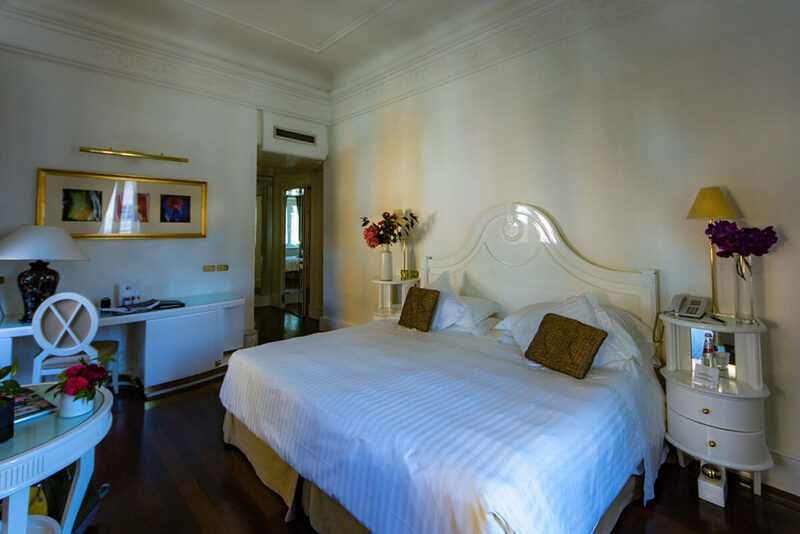 Ideal for business clients thanks to our hotel’s strategic location in central Rome.